It’s always a treat when you get the opportunity to discover a good film you never heard of before. I was totally unaware of this Robert Florey directed film when I saw it pop up on TCM’s schedule. It sounded interesting, so I set up my DVR to record. It turned out to be a real nice surprise. 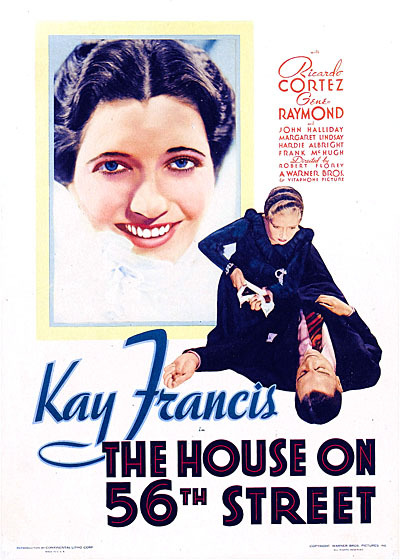 Released during the Christmas season of 1933, The House on 56th Street had to be one of the last few films to be come out before the enforcement of the Production Code and all its many “Thou Shall Not’s” that would follow. It’s a good thing too because the film’s entire last act would have been marred had those devil censors got their oily hands on it. The film covers a period of more than twenty years from 1905 to the prohibition period. Peggy Martin (Kay Francis) is a showgirl on Broadway performing in the Follies of 1905 (we see the show’s cast singing “While Strolling in the Park One Day”). Her elder lover, a wealthy man named Lyndon Fiske (John Halliday), and a young and rich new pursuer, Monty Van Tyle (Gene Raymond), are both in the audience. Peggy is swept off her feet by the young and handsome Monty. They soon fall in love. Peggy informs Fiske that she is breaking up with him. He is heartbroken, but admits to not being the marrying kind. Peggy and Monty soon marry and move into a mansion type house located on, of course, 56th street where she tells her new husband she wants to live forever. It’s all idyllic, for the first half hour, filled with the well-dressed upper crust of society. In the theater scene, the men in the audience are all dressed in tuxedos even wearing white gloves. The women are spiffy in flowing gowns and extravagant hats with feathers flowing (This all unlike the Broadway theater audiences of today who arrive in wide assortment of outfits from well dressed in suits to the less so every day wear of jeans and shorts). The newlyweds travel around the world and Peggy gives birth to a daughter they named Eleanor, after her mother-in-law. At this point, Fiske comes back into the picture. He apparently is an old friend of the Tyle family. He is also still in love with Peggy and would like a “friendship” with her (the Tyle family is unaware of their prior relationship). You see, Fiske just found out he’s sick. When Peggy goes to visit him he reveals his illness is more serious than he previously led her to believe. He admits to still loving her but Peggy is insistent they cannot meet anymore. Lonely, depressed and desperate, he pulls out a pistol and attempts to shoot himself. Peggy makes a move to grab the gun, they struggle, and a shot is fired. With this incident, Peggy’s world collapses changing forever. The high fashion clothes are all gone as is the rich mansion, her husband and child. She is convicted of manslaughter and sentenced to twenty years in prison. Times goes by, and while in jail, Monty is killed in action during the war and her daughter is taught to believe Peggy’s dead, dying in prison. Upon her release, Peggy’s mother-in-law, via a lawyer, gives her a check for five thousand dollars (worth a lot more than in today’s inflated currency) with the notation that she does not contact her daughter and leaves New York for good. Peggy agrees. With the money, Peggy gets a complete makeover and then sets sail on a cruise ship where she hooks up with a crooked gambler named Bill Blaine (Ricardo Cortez). They team up and spend the next few years fleecing other ship passengers. Eventually, they arrive back in New York where Blaine has made arrangements for them to work at a new gambling joint located, where else, but on 56th street! The same building where she lived with Monty which, after his death in the war, was boarded up and sold. At first, Peggy is reluctant to stay in New York. After all, she promised her mother-in-law she would not come back, but she gives in and both Blaine and Peggy end up working for gambling king pin Bonelli (William Boyd). One evening, who walks in Bonelli’s casino but Eleanor (Margaret Lindsay) with a bunch of her friends. She refuses to gamble knowing she has the fever (like her mother) and once she starts can’t stop, especially if she is losing. A friend lures her into giving it a try and she ends up at the table where her mother is dealing Twenty One. Peggy, at first stunned to see her, settles in and lets Eleanor rack up some big winnings. She wants her to quit while ahead, but the young girl refuses. She’s on a “hot streak.” Blaine strongly encourages Peggy to let the young woman continue. Peggy decides to teach her daughter a lesson by making her lose. Soon, Eleanor is in the hole for 15,000 dollars. The kid wants to continue, she can’t quit now that she’s losing and she can’t get the money to pay off the debt because she promised her hubby she won’t gamble anymore. He has sworn to divorce her if she did. The house finally cuts Eleanor off. Blaine tells her in his private office she needs to get the money to pay off the debt right away. If she does not call her husband to get the dough, he will. When she refuses, Blaine starts to make the call himself. An open draw in Blaine’s desk reveals a gun. She grabs it and threatens to shoot Blaine if he does not put down the phone. He doesn’t it and she shoots him. Peggy hears the gunshot and comes running into Blaine’s office finding Eleanor with pistol in hand. She quickly gets her hysterical daughter out of there. She and hubby were planning on leaving New York that night on a trip. Peggy tells her to go, get out of town. Ready to take the blame for the shooting, Peggy tells Borelli she did it. But Borelli has others ideas. He wants her to stay and continue working for him. She’s good at what she does. And don’t worry about Blaine’s body, he tells her. A couple of his boys will take him somewhere and dump him. The cops will just think it’s another rubout. She just has to agree to stay at the house. Why not, isn’t that’s where she always hoped to live forever? Less than a year later, Eleanor who gets away with murder, would have had to pay for her sins. The Production Code would not have allowed this kind of crime to go unpunished. The ending here adds a nice unsavory flavor that would have been missing had the code been enforced. 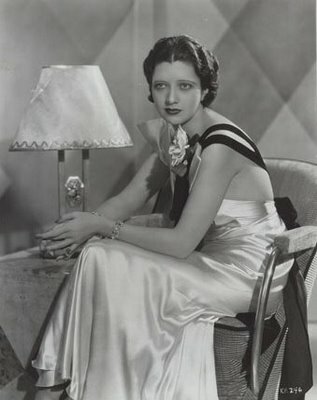 Kay Francis plays a role that was fairly typical of her career; glamorously dressed, at least for the first hour of the film, and a character who suffers profound setbacks, but is strong enough to overcome and accept them. By the late 1930’s, Francis was labeled box office poison and her career never recovered. 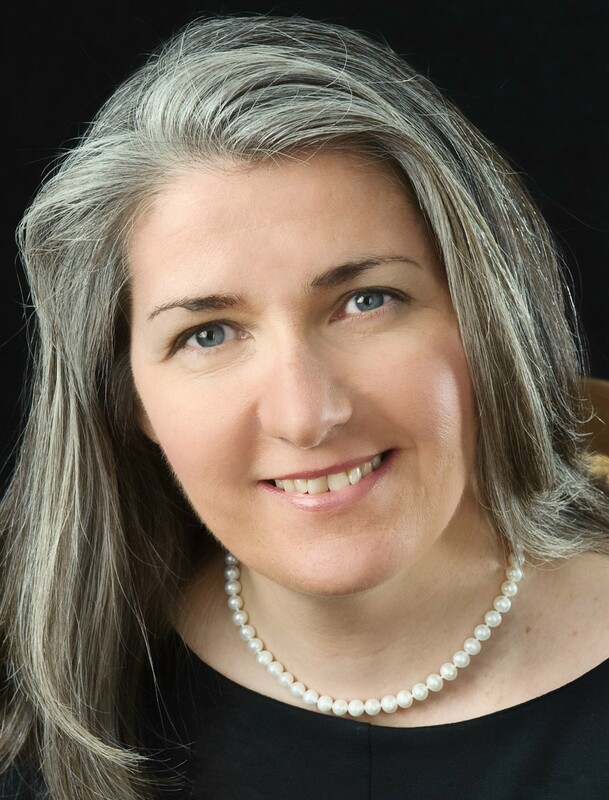 She still worked, but never returned to the same level of success she had previously achieved. In a typical role for him. 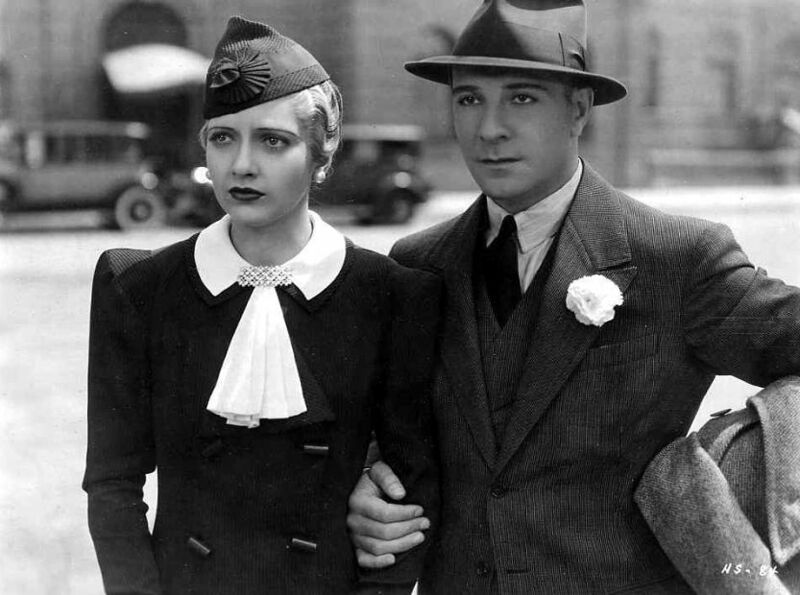 Ricardo Cortez comes across as a sleazy character that most people would find hard to trust. Francis catches on to him early in the film and deals him a bit of his own medicine. Cortez fits the part perfectly. Also in the cast, early in the film, is Warner Brothers regular Frank McHugh. This entry was posted in 1930's, Pre-code and tagged Kay Francis, Pre-code, Ricardo Cortez, Robert Florey, The House on 56th Street. Thanks David for such a thorough review. 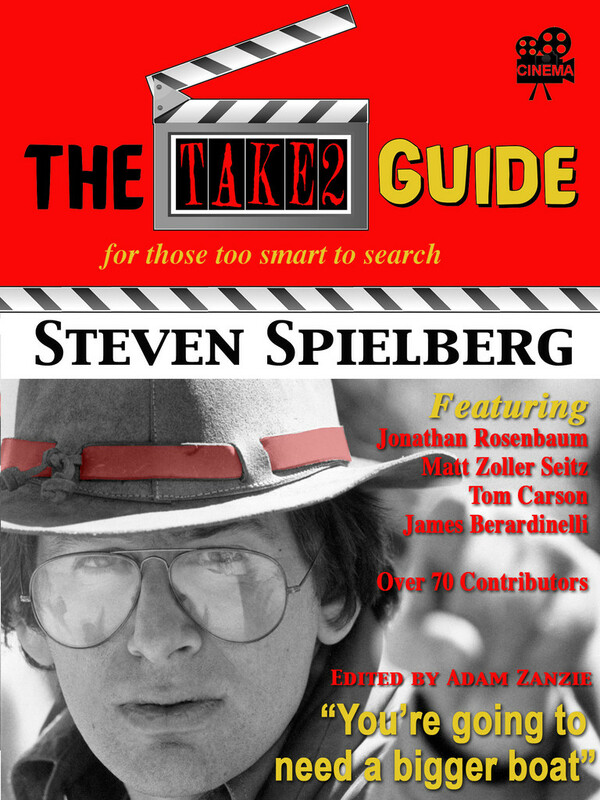 So many good films get overlooked! Regards from Thom at the immortal,jukebox. Not sure who David is, but thanks for stopping by.